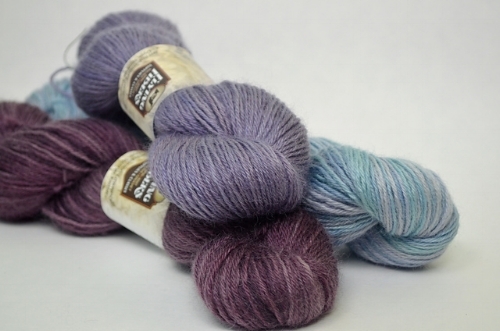 Why use Wensleydale yarns and wool? Wensleydale is a longwool breed of sheep with a splendid sheen and beautiful purl (the natural curl of the wool). The wool can range in length from 10-12 inches each year. These beautiful animals come from the Dales Region of Yorkshire, England and are considered a rare breed according to the Rare Breed Survival Trust. Anyone who has worked with the yarns of a Wensleydale will tell you that the wool is incredibly durable and can be worn hard while still having a fabulous hand and drape. Yorkshire Medley, a Flying Fibers exclusive DK weight yarn. Grown with love in the UK, made with care in the US.